We Buy Any Car specializes in buying Jaguars regardless of the model, age or condition of the vehicle. Whether your Jaguar is a vintage classic, a cozy coupe or a family sedan, we will buy it! We don't care if it is scratched, dented, has high mileage or engine troubles – we want it! You can expect us to give you a fair and honest assessment of your Jaguar's value, and we will pay competitive prices for extras such as leather interiors and limited edition models. When you sell your Jaguar to us, you will be getting the best price you are likely to find anywhere. We will buy your Jaguar in any condition – even if it won’t start or doesn't run. To get the ball rolling immediately, enter your Jaguar's details into our online valuation tool to get an idea of what your car is worth. When you choose to sell your Jaguar to us, we will make the experience as simple and pleasant as possible. Since it was founded in 1922, British luxury car manufacturer Jaguar has produced some of the most distinguished and beautiful automobiles in the world. Jaguar has a rich heritage stretching back 90 years that has shaped and influenced the design of the models they currently produce. 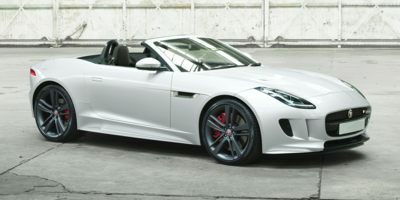 The cars manufactured by Jaguar are well known for their beauty, prestige and durability. Given the company's reputation and history, every Jaguar has the potential to be a classic. Jaguars remain some of the most recognizable and popular luxury cars in the world.